Amsterdam, c.1652. The British Isles as divided into the seven Saxon kingdoms, between the withdrawal of the Romans and the Norman conquest. On each side of the map are seven vignette scenes: on the left are portraits of the first seven kings; and on the right are their successors' conversion to Christianity. 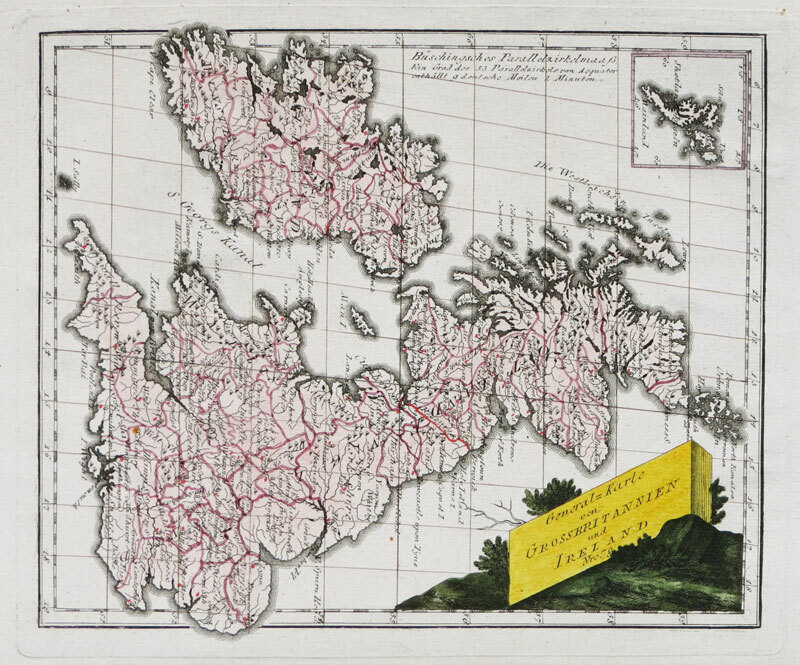 A classic decorative map, with fine hand colour. 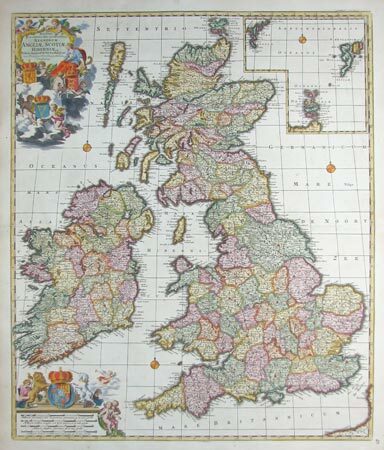 Large and decorative map of the British Isles. London, 1747? 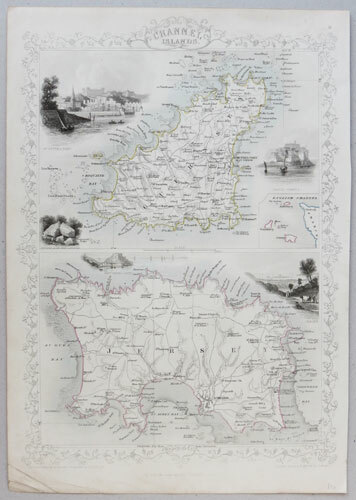 Roman Britain map, from a late issue of Morden's map(?). Nuremberg, 1741. 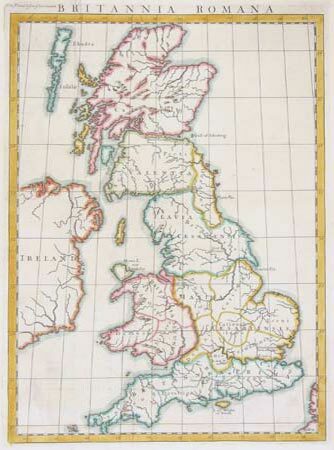 The British Isles with a decorative title cartouche and an inset of the Shetlands. Augsburg, T.C.Lotter, c.1764. 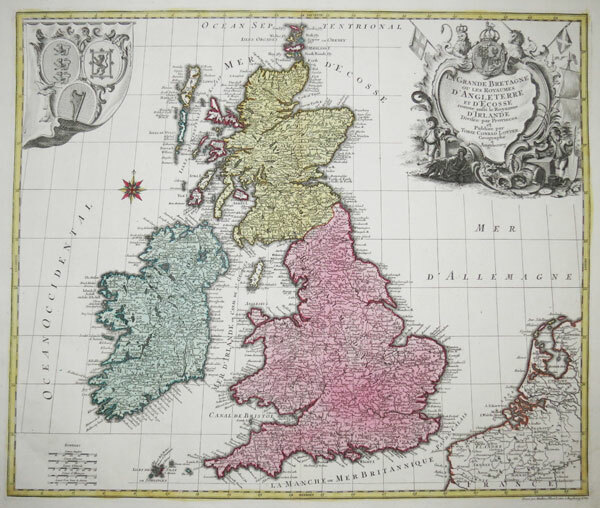 A map of the British Isles decorated with an ornate title cartouche and the arms of England, Wales & Scotland, engraved by Mathias Lotter for his father Tobias's atlas. With good, bright colour. Vienna, 1789. 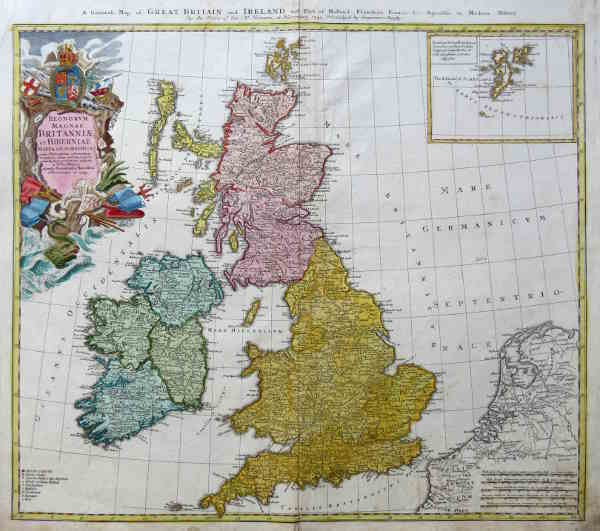 Map of the British Isles, orientated with north to the right, with an inset of the Shetlands. Edinburgh, 1814. Detailed map of the English Channel.